The Roma are the biggest ethnic minority in Europe, often excluded from mainstream European society, and suffering from deprivation in many areas of life including education, employment, housing and healthcare. Fare believes that sport can be used to empower Roma young people through participation, supporting education and creating training opportunities, to overcome the vicious cycle of poverty and exclusion. 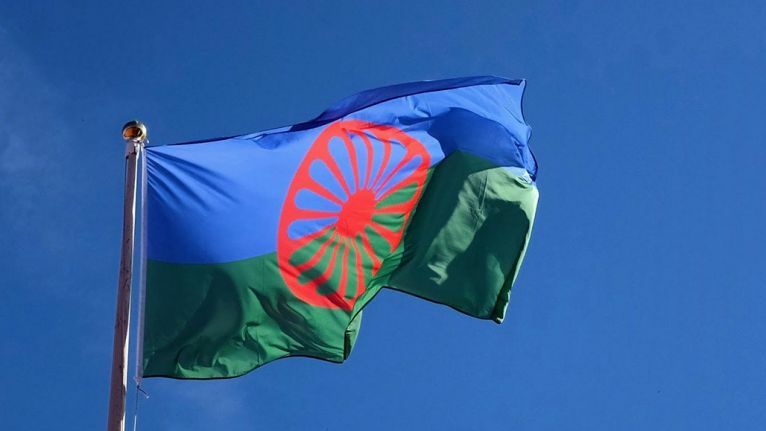 For International Roma Day we interviewed two of our members, who were also part of the Fare 20, to discuss issues facing Roma communities in Europe. Annabel Carballo of Federación de Asociaciones Gitanas de Cataluña (FAGiC) in Barcelona, Spain and Sabina Antoci of Policy Center for Roma and Minorities in Bucharest, Romania give their thoughts. Tell us about your experiences working with Roma. What kind of exclusion or discrimination have you or the people you have worked with faced? Sabina Antoci: Policy Center for Roma and Minorities works in disadvantaged communities in Romania, with Roma and non-Roma people impacted by extreme poverty in the Ferentari neighborhood, in Bucharest, mainly with children, but also with the parents. The issues the people face, such as access to resources like education, health services or to jobs, are related to their ethnicity. From generation to generation the vicious circle deepens the very low standard of life. People confront multiple forms of discrimination, negative stereotypes and attitudes. We try to combat these negative attitudes and empower children and adults to discover their value. Annabel Carballo: There are two main ways of discrimination directly to the person: one for when the Roma is a person who fits in the physical stereotypes of “mainstream society”. In these cases Roma are persecuted in daily life, for example in housing, the job market, by police, whilst shopping, etc. The other is when a Roma person doesn’t fit the stereotypes of mainstream society and is then patronised or used as an example of ‘integration’, – the ‘good Roma’. The media also don’t help in how it negatively portrays Roma people in Spain. Exclusion is when they treat you differently because they are expecting certain behaviour from you, just because you are Roma. SA: We work with Roma and non-Roma children and adolescents from Ferentari, a poor and disadvantaged neighbourhood with the highest population of Roma people in Bucharest. We initiated the Alternative Education Club in 2010, with the certitude that education has the biggest value and potential to change the path of an individual no matter his or her social or economical background. Besides remedial education focused on mathematics and language classes, we organise non-formal education activities such as sport (football, handball) and art workshops (theatre, dance, photography, music), as well as therapy sessions, which have a positive effect on the self-esteem and self-confidence of the children and adolescents. By raising awareness about the reality of the social exclusion of Roma community, civil society can get more involved in finding solutions to this issue. AC: FAGiC was created with the aim of defending and promoting the rights and the culture of the Roma in Catalonia and Spain. All our work is focused on improving the life conditions of the Roma in Spain and fighting against any acts of racism or xenophobia towards Roma people. As an umbrella organisation, FAGiC empowers its grassroots Roma associations from all over Catalonia, so they have tools to address any problems. Our hope is that mainstream society can see Roma as a part of society, an important and rich part of the society, and to get to know Roma and Roma culture. We work with the public administrations in order to have better policies targeting Roma, also with schools, social services, etc. For example, we implemented an educational project targeting young people through football, which apart from being a healthy activity is also a motivator for young Roma. So, if they go to school and study, they can play football. Are you optimistic for the future or pessimistic? Why? SA: We are rather optimistic for the future, for several reasons. There is no doubt of the good influence the formal and non-formal activities have on their lives. The activites are part of an integrated program that we have been developing in Ferentari for the last ten years. As a core part of this program (Alternative Education Club) we see no reason why we would stop it. We have always been optimistic and with this attitude we have been developing since the beginning. AC: Well, we must be optimistic. If not, our fight and our everyday work does not make sense. I believe strongly in the children and that they will see the world in a more multicultural way. We have to teach the children that multiculturalism is rich and positive, so they will see it as a normal characteristic of society. We must continue working and educating to tackle the problem, all society together. On the other hand, the rise of the far-right extremism is a fact and it’s dangerous, especially in crisis period. The next European Elections will be very important to draw the future of Europe and to see what mainstream society wants.